All the information is there, it's just organized a bit differently and our brains have to reconfigure how to use the material we've been using for years! It took us 5 minutes to locate the "purchase your own domain" information... Tip: it's located on your blog Overview page, and it's in the bottom right hand corner under the "Blogger Guide". Can't find your Overview page? When you are in what was your Dashboard, just click the title of the blog you'd like to edit. It will say Overview in orange next to the title. 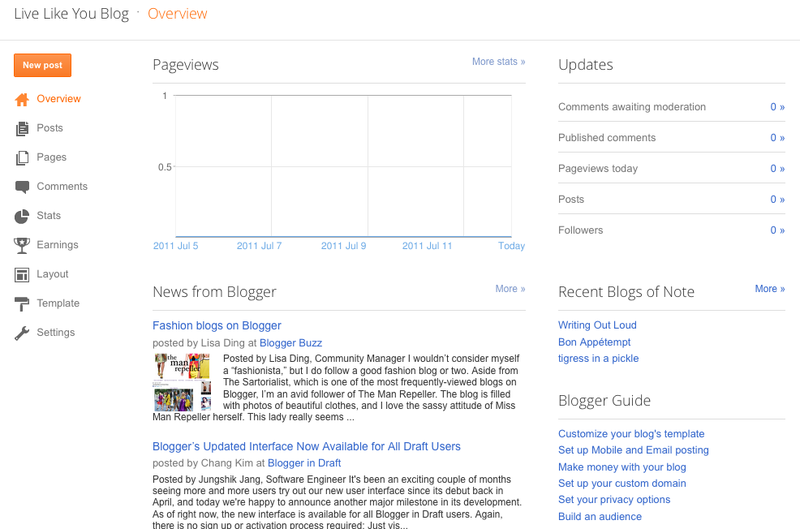 What do you need help finding in the New Blogger? I haven't been switched over to the new Blogger yet. But I've heard all about it. When will I get switched over? Am very excited now - looks so much nicer than the current platform! You might have the New Blogger and not know it...just go to your Dashboard and click the Blogger in Draft box, this will switch you to the New Blogger, but you'll still have the option to switch back to the old Blogger. This is a great way to compare both "platforms". 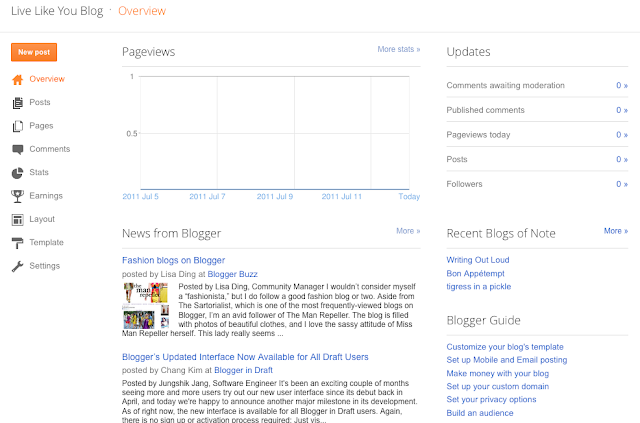 Has anyone heard that Blogger might be replaced with GoogleBlogs? I certainly hope that is just a bit of gossip!